Last Christmas I heard about the wonderful <a href="http://www.childrescuenepal diabetes medicine.org” target=”_blank”>Child Resue Nepal (CRN) Charity and the awesome work that they do rescuing and supporting victims of trafficking and their families. I really wanted to help them but didn’t know what I could do being based in the UK, then I had an idea, I volunteered to make an item of clothing for each of the children that live in the family style orphanages, which turned out to be 35 youngsters aged 10 to 19 years old both boys and girls! I decided that to make the garments both practical and enjoyable for the youngsters, I would get each one to tell me what their favourite colour was and name so that I could machine embroider name tags to go inside the items of clothing in the colour of their choice. It was at this point that I realised what a vast project I had taken on. The sourcing of suitable patterns was my first hurdle. 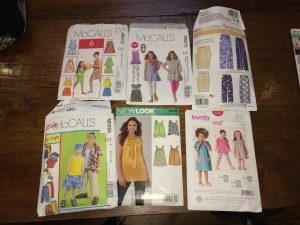 I wanted to make shorts for the boys and either a dress or skirt for the girls, but obviously the more pattern pieces the longer it was going to take me, but all items needed to have pockets, so I hunted high and low for ones that fitted my criteria. 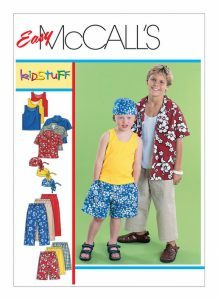 The first pattern I chose for the boys shorts was McCalls easy boy shorts. They had pockets and elasticated waist and seemed an ideal choice. I had previously used the pattern to make 2 pairs for my Nephew In Laws but I soon realised that making 18 pairs was going to be too time consuming. So I had a rethink, in fact quite a few rethinks. In the end I used all the patterns able, with no real modifications. 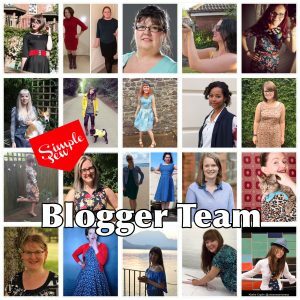 Here I am one of Simple Sew bloggers, couldn’t be more excited about it! 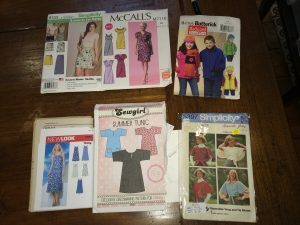 I am blogging about making one of their patterns next month; check back to find out which pattern, and how I do making it. Quick before it rains lets take a photo of your new birthday dress! 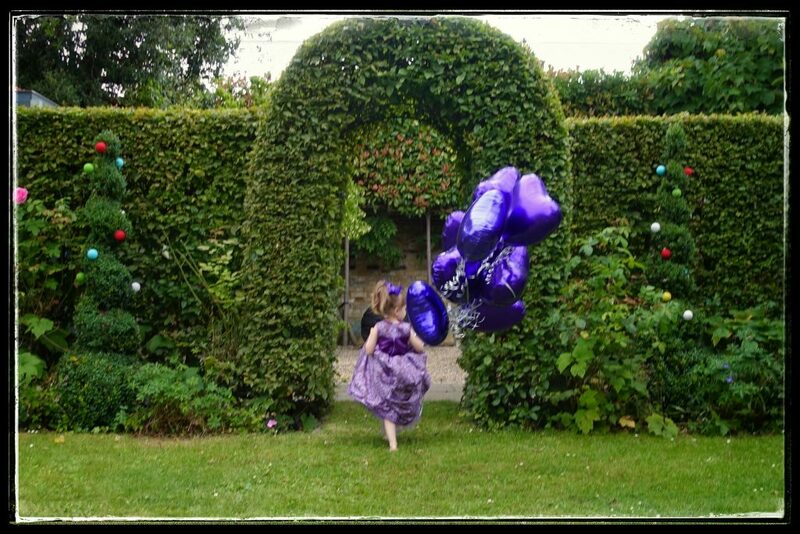 Its become a bit of a tradition for me to make my Little One an occasion dress for her birthday each year. So here is how it all started. 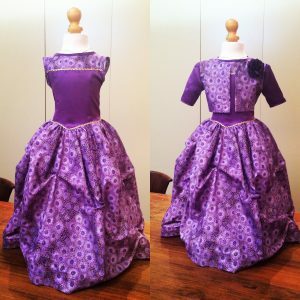 She choose purple this year as the colour, and I bought the fabric from the fabulous Crafty Sewer near Tooting. 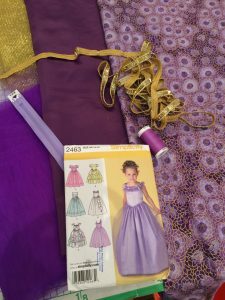 I think this might be the last year that I get to choose the fabric, as she loves fabric and dresses as much as I do! I think in retrospect I should not have made the skirt in cotton as it didn’t have the drape needed for the tucks, but as she has a summer birthday I didn’t want to make it too hot a dress to wear (what an optimist given our English Summers!) and I like to be able to machine wash her party dresses and had tested both the satin and cotton together with the ric-rac and it had washed beautifully. The last minute addition to the outfit was the cropped jacket and which was from the Vogue 7819 girls occasion dress. I have made it for her for the last 3 years and it really finished the outfit.